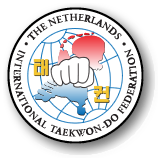 Be prepared, registration info coming soon for the Open Dutch! We are about to leave to Scotland for the European Championships, but of course at the same time we are in in full preparations for the Open Dutch. The tournament will be held on Sunday the 24th of January 2016, and will take place in the same location as last year: Sporthal Naestenbest in Best. All tournament information will be ready in a few weeks, including how to register. We will publish all the info on this website in a few weeks. Hope to see you again in the Netherlands on the 24th of January, be prepared to test yourself with the best!